Sun Basket’s healthy spin on the classic offers more protein and fiber and fewer saturated fats than the original, without skimping on the flavors you know and love. 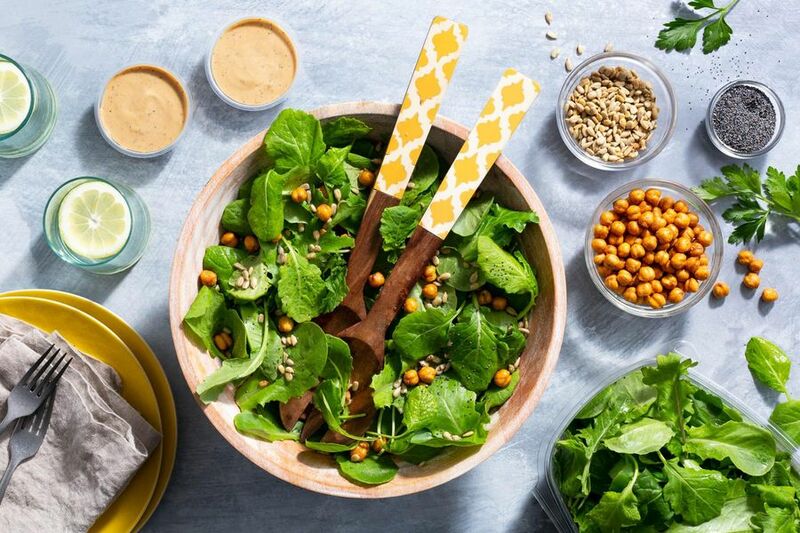 Instead of white-bread croutons, dry-roasted chickpeas and sunflower seeds provide satisfying crunch, while our dressing delivers on richness without eggs. Packed in a facility that handles all major food allergens* and gluten. *Milk, Eggs, Fish, Crustacean Shellfish, Tree Nuts, Peanuts, Wheat, Soybeans. Sodium does not include pantry salt; for reference, ⅛ teaspoon kosher salt per serving averages 240mg (10% DV). 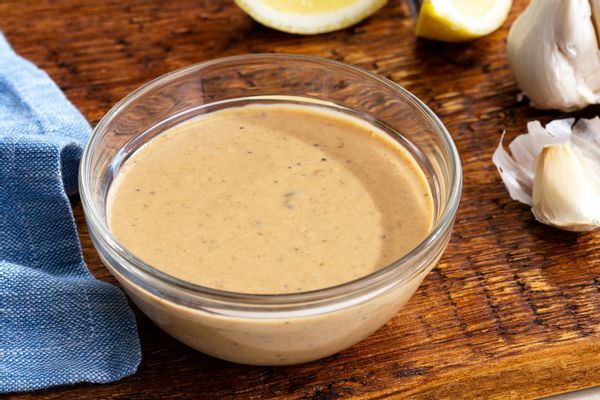 Our plant-based dressing is creamy with almond milk and cashew butter and umami-rich with nutritional yeast and porcini powder. Plenty of fresh lemon juice and garlic balance it all. 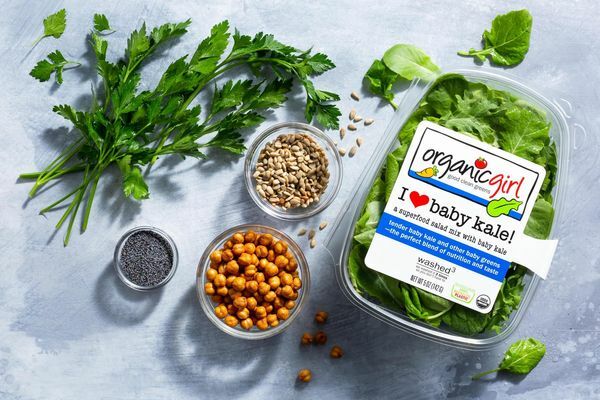 This mix features a base of baby kale, plus a seasonally rotating selection of greens such as Tango and green oak. With hearty sprinklings of dry-roasted chickpeas and pumpkin seeds plus poppy seeds, you’ll forget croutons ever existed. Wash all produce before use (except prewashed greens). In a bowl, toss together as much of the greens, toppings, and dressing as you like. Season to taste with salt and pepper and enjoy. Did you add protein? Cooking instructions for chicken, salmon, rib-eye.